Basically luxury hotels on water, some sumptuous cruise options are suitable choice for anyone who wants to spoil themselves. Not for any particular divergence from the typical cruise itinerary, you are paying for the experience of five-star amenities here – but you cannot really go wrong if you want to live it up from an ostentatious sun-lounger while admiring the incredible sunset over a panorama of craggy jungle-topped islands. Bank on spending around US$220 for an overnight trip on a luxury cruise. 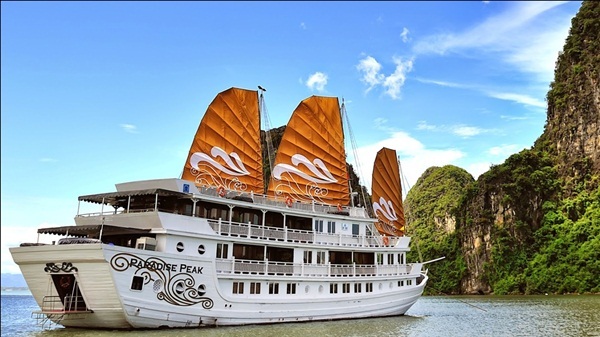 You will pay from a rock-bottom US$60 per person for a day trip on budget cruise. 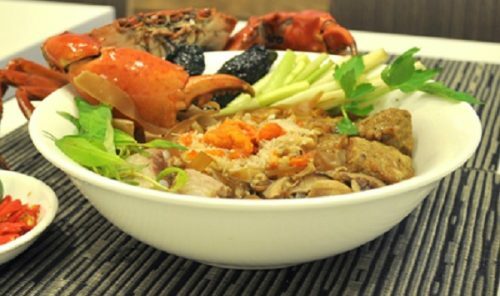 You will get a worthwhile overnight midrange cruise from US$110 to US$130. 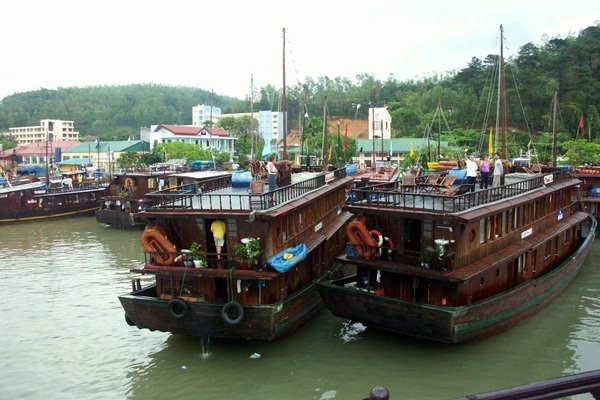 Whisking visitors out onto the water for excursions of four to six hours, traveling on Bai Chay tourist boat is a truly local experience. Do not mind sharing boat space with gaggles of other folk, and just want to quickly see a couple of highlights by cheaply getting out on the water, this is a good option if you are not fussed about added frills. It costs 100,000d (around US$5) for a four-hour trip, which stops at big-hitter cave highlights Thien Cung Cave and Dau Go Cave. 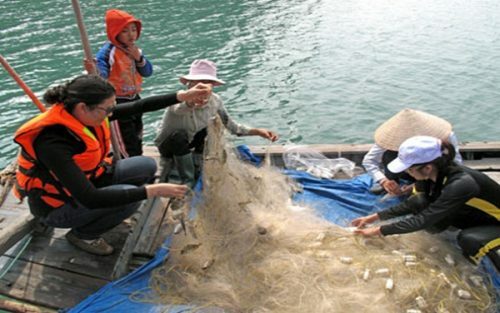 The individual cave entry fees (30,000d) and Halong Bay entrance fee (120,000d) are additional. 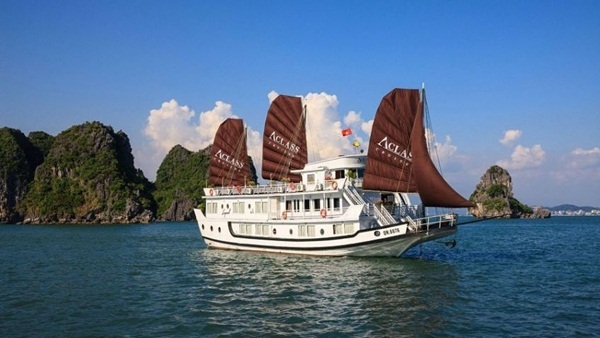 Almost every decent midrange Halong Bay cruise will provide an hour or 1-hour kayaking. You will have a chance to experience the limestone towers from a completely distinct angle: at sea level, up close and without the continuous rhythmic humming sound of an engine in the background, by paddling around the karsts. There are also kayak-only trips for more experienced kayakers. 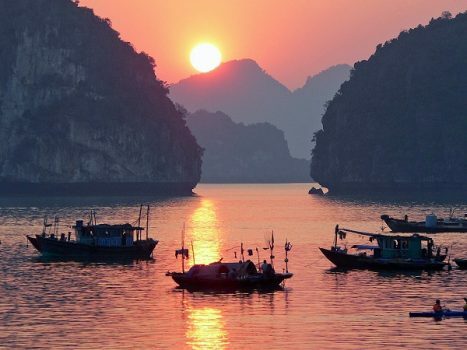 Although the islet-scattered sea of Lan Ha has just as much wow factor as Halong Bay and is much less visited, these trips are run by various operators based in nearby Lan Ha Bay (off Cat Ba Island) rather than Halong Bay itself. 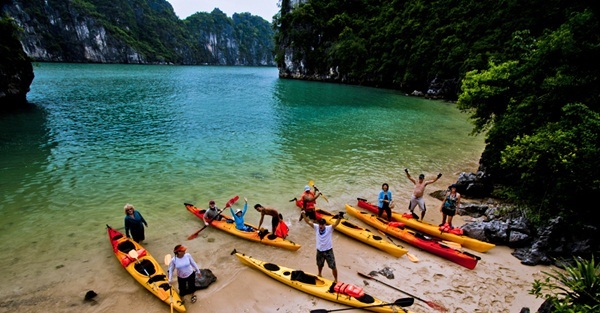 It costs per person from US$25 to US$30 for full-day kayaking trips from Cat Ba Island.